Meet Sony’s Xperia Z2 line. 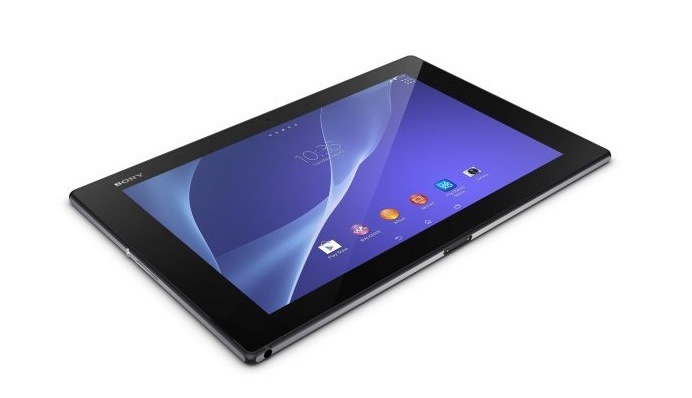 With the Z2 Tablet and Z2 smartphone, Sony clearly hopes impressive specs and waterproof technology will help the company gain market share in 2014. The tablet and phone are refreshingly similar. Qualcomm’s 2.3GHz 801 Snapdragon powers both devices. They both have class-leading cameras and displays. And following in Sony’s recent tradition, they’re both waterproof. The Sony of today is different from the Sony of even five years ago. The company is going lean with its product offerings with a strong focus on photography, gaming and mobile products. The Sony Z2 Tablet and Z2 smartphone are prime examples of the company tapping all its divisions to make the best possible product. The Z2 Tablet rocks a 10.1-inch display up front and LTE capability. Like the Z1 before it, the Z2 has a 8.1MP camera on the back and a 2MP around front. And even with the blazing fasting 2.3GHz quad-core SoC, Sony boosts that the Z2 has a 10-hour battery life — the same as its predecessor. A PlayStation DualShock3 can even connect to the tablet for mobile gaming. The 5.2-inch Z2 is Sony’s latest flagship smartphone. And with its specs, it’s easy to see why. The aforementioned Snapdragon powers the phone and assists the phone with photography, which is capable of 4K video capture. In fact, photography is a big part of the Z2. The phone packs a 20.7MP sensor capable of 4K video and 120 fps recording. Sony calls the high-speed shooting Timeshift and allows owners to select certain frames and slow down playback. Both products will ship worldwide in March. Pricing and specific target markets have not been announced. With these products, Sony is continuing down the road of producing stunning mobile products while eating its own dog food. But will anyone buy them? Since Sony’s split with Ericsson and after the demise of the Sony S and P tablets, the company has outed some fantastic products. They’re slim, solid and waterproof. Yet consumers have yet to respond in kind. Hopefully Sony’s 2014 plan includes increasing distribution, marketing and wireless carrier support for its products. It’s hard to sell products scarcely seen in stores or marketing spots. The engineers and the designers behind these products deserve it. The products themselves deserve it. Most of all, consumers deserve to know and have the opportunity to buy these products.